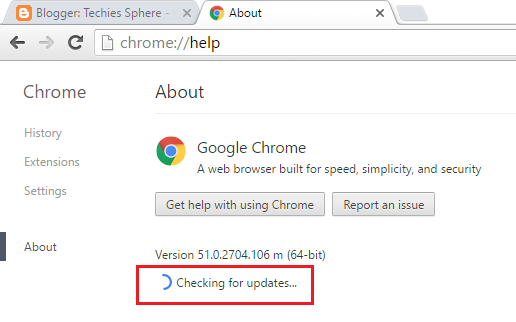 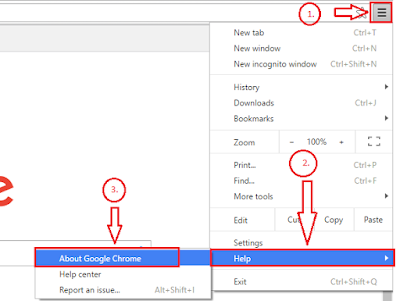 Techies Sphere: How to update Google Chrome browser? 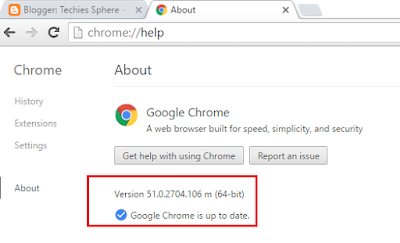 Or, How to upgrade Google Chrome browser? 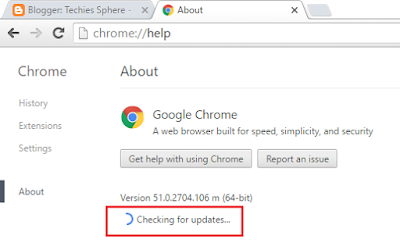 Open Google Chrome Browser > Go to Menu Options > Go to Help > Click on About Google Chrome > Google Chrome will check for update automatically now > If prompted UAC, Click yes > Wait for Chrome to be updated > Re-Launch the Chrome browser for update to take effect.